Companies spend a lot of time and money trying to identify “good fit” during their hiring process. Candidate selection is driven by the magical, mystical notion of making a good fit decision. Clearly, the first step usually involves matching job description requirements with the candidate’s stated background experience. Right away, the matching process starts to break down because so much screening is now contingent on keyword matching, and not much else. Even if resume screening works well, the next step takes the candidate through an interview process. Here’s where it really gets fun. First, well-coached candidates can ace interviews while really not bringing much value to the company. Poorly trained hiring managers, who only occasionally may conduct interviews, (i.e. it’s not their full-time job) do not possess the right skills for getting maximum value from the interview process. So the “good fit” effort takes yet another hit. With these two key areas suffering, the station of last resort is the look and feel test. Does the candidate look and feel like the right person for the job? Sadly, this often takes us back to the untrained interviewer who merely decides to hire someone who looks like or thinks like they do, assuming that alignment of core values and ideals will work. Have I touched any nerves yet? How’s your good fit guy doing so far? Yes, good fit selection is a far more complex challenge for companies and their job seeker candidates. Even more important is the unit manager who gets involved in the selection process. Finding true good fit requires the ability to properly identify what that means to the company and the team. Jim Collins in his “Good to Great” talks about this challenge as ‘getting the right people on the bus’. Once your company defines its core value and vision, there will be key individuals with unique talent who can make things happen. Hiring anyone short of that impacts the final outcome, not to mention the headache and liability of releasing a “bad fit” employee. The popular Entrepreneurs Operating System or “EOS” describes doing a kind of per seat analysis throughout the organization. First, you tie the roles and responsibilities off each workstation to the overall company mission/vision. You set a value for each position; value contributed to the company or worth of each slot. Then and only then, do you take a look at the person filling that seat or being recruited for the seat. Does the person have the skills and abilities to deliver on the expectations you previously defined for that position? Now that is fit. There are several emerging ways companies are trying to do more for good fit hiring. Here are a few of the main ideas. Many of my client companies have developed basic skills testing to determine a candidates ability to meet baseline requirements. Sadly, there are companies that need good solid workers with basic skills, but too few job seekers can demonstrate core skills like reading, math, and simple logic. At one of the companies I owned, we developed a test for job seekers. We had a sample file folder that had numerous documents pertaining to the work we did. The seeker was given a checklist and told to find the applicable document from the folder, stack the file according to the checklist, and tell us if something was missing. A person with reasonable skills could finish the file in 20 minutes. Anyone who didn’t really know the work had no way to fake it. Ever since Karl Jung first developed his 4 part personality classification system, there have been spin-off theories that are widely adopted by major corporations. These include DISC, Myers Briggs MBTI (R), and Birkman testing. While the Jung-based psychology gives interesting personality indicators, the complexities of human thinking and its far-reaching impact in the workplace can only be counted as a starting point. Whether someone scores an INTJ or ENFT will only go so far in helping a manager make a good fit decision. The whole notion of personality assessment having a scale for introvert versus extrovert is under heavy scrutiny now. There is a body of work being studied that suggests “ambiverts” (people who demonstrate either both tendency depending on the situation) represent a bigger segment of the workforce, plus they have been proven to be better performers. Emotional intelligence testing or “EI” has become a popular topic for defining and exploring better fit conditions. We probably know people who are masters at managing their emotions. They don’t get angry in stressful situations. Instead, they have the ability to look at a problem and calmly find a solution. They’re excellent decision makers, and they know when to trust their intuition. Regardless of their strengths, however, they’re usually willing to look at themselves honestly. They take criticism well, and they know when to use it to improve their performance. People like this have a high degree of emotional intelligence or EI. They know themselves very well, and they’re also able to sense the emotional needs of others. For example, one large cosmetics company recently revised their hiring process for salespeople to choose candidates based on their EI. The result? People hired with the new system have sold, on average, $91,000 more than salespeople selected under the old system. There has also been significantly lower staff turnover among the group chosen for their EI. Companies seeking to define their own culture must identify candidates who fit that culture. Whether the elements are work ethic, training, expertise, or attitude, the company’s culture helps define fit. There’s no denying that cultural fit is important but make sure you actually know what it is before judging candidates. It’s easy to mistake cultural fit for personal biases — just because you wouldn’t mind being stuck in an airport with a candidate doesn’t necessarily mean he’s a great fit for your company. A candidate’s approach shouldn’t be so divisive that it creates rifts among employees, but you shouldn’t be afraid to hire somebody whose personality clashes with your own. If you perceive that a candidate would make a meaningful contribution to your company while maintaining decorum, that candidate might be a cultural match. If you have doubts about making a career change, take my free assessment. Find out exactly where you stand. Good fit ultimately comes down to being able to harness the power of your mind’s attention and your heart’s affection. Managers tapping into the hearts and minds of their team will yield the greatest results. Having employees who are not open to contributing at that level will never be a good fit. Using the tools mentioned above can give insight into ways people might fit well with your team. However, your own ability as the leader to direct, inspire and instill fit within your team is your biggest task. How do you and your company manage to find the right fit? If you enjoyed reading this article, please recommend and share it to help others find it! If you want to increase your influence as a manager, business owner, or community leader and learn some valuable life hacks, then subscribe to my private mailing list. Click here to subscribe right now! DougThorpe is a business coach. I help Owners and CEOs discover new heights in their own ability to make a difference. I can show you the tools, measurable action steps, and proven ways to improve performance. My credentials include certification as a John Maxwell Coach and Motivational Speaker. "The Uncommon Commodity" is my book written in a common sense way, to help managers become better leaders. 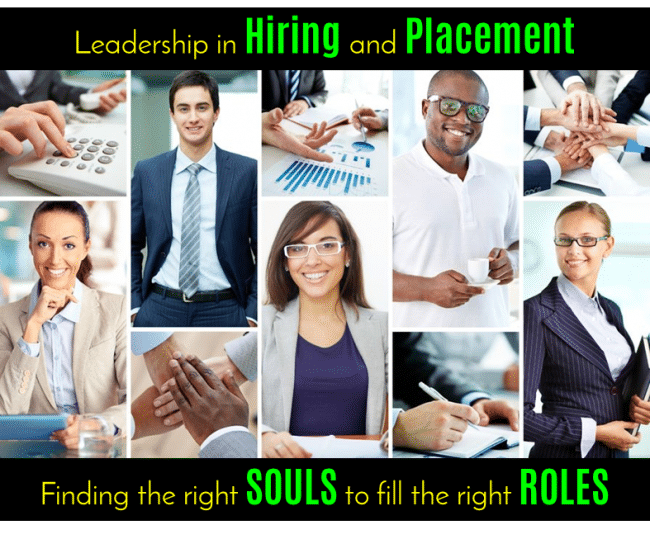 If you have questions about being a Leader or feel stuck where you are, you have found the right place to get answers.